Data Stream is a targeted funnel of leads that we provide for you on a monthly basis, that makes sure that your sales team don’t starve. You’ve often heard the expression, “There are plenty more fish in the sea,” but if you’re not out there fishing, you won’t catch anything. And, you have to fish in the right places, using the right bait if you want to catch the best fish. The problem with many lead generation exercises and sales teams is that they fail to deliver a throughput of leads on a regular basis due to the inability to unearth potential opportunities when they arise. GSA can help you to generate a regular stream of target prospects that are more likely to be in the market for your services. GSA scours a variety of online sources including LinkedIn and trade magazines to unearth potential leads. These include changes in job role (new appointments), traditionally a trigger for change, and prospects that are specifically looking for your types of services on LinkedIn. In addition to providing a stream of leads, GSA can also build a targeted list for your outbound marketing. Check out our Data Mine service. And, don’t forget the gold that’s sitting in your database of lapsed or inactive customers. See our Data Vault service for more details. If you’d like to uncover a stream of leads that you can target for your lead generation, contact us now on 0330 335 1380 or send us a message using the form below. 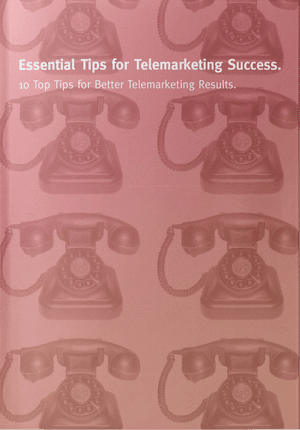 How to Create a Successful Telemarketing Campaign?